Scene75 Entertainment Centers has quickly established itself as a leader in the family entertainment industry. The original Dayton location opened in July 2012 and the Cincinnati location opened in September 2015. Our third location is now open in Brunswick! Since 2012, we have been recognized by our local communities, the state of Ohio, Facebook Corporate, & the International Association of Amusement Parks & Attractions (IAAPA). The Cincinnati location was honored at the IAAPA Awards Ceremony as 2016's "Top Family Entertainment Center in North America." 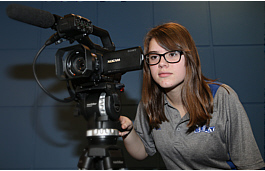 The Scripps Howard Foundation strives to advance the cause of a free press through support of excellence in journalism, quality journalism education and professional development. The Foundation helps build healthy communities and improve the quality of life through support of sound educational programs, strong families, vital social services, enriching arts and culture, and inclusive civic affairs, with a special commitment to the communities in which the Company does business. 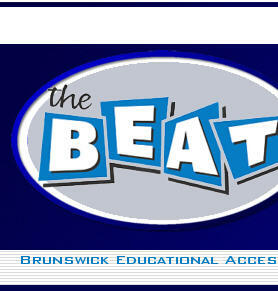 Learn more about the Foundation at our website. 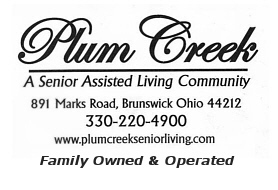 Plum Creek Senior Assisted Living Community is designed for seniors who wish to maintain their independent lifestyle, but may need some additional assistance to do so. With completion of construction in early 2009, their state-of-the-art community offers a caring, supportive and comfortable environment with a home-like setting. Amenities include 24-Hour Nursing, private suites, an emergency call system with 24-hour assistance, 24-hour visitation, three meals a day, full laundry services, and an array of activities and social events. RPM International Inc. is a multinational holding company with subsidiaries that manufacture and market high-performance coatings, sealants and specialty chemicals, primarily for maintenance and improvement. Fiscal 2012 sales were $3.8 billion, with 67 percent to industry worldwide and the remaining 33 percent to consumers mainly in North America. Shares of the company's common stock are traded on the New York Stock Exchange under the symbol RPM and are owned by some 300 institutional investors and 97,000 individuals. RPM employs more than 9,700 people worldwide and operates 82 manufacturing facilities in 20 countries. Its products are sold in approximately 150 countries and territories. 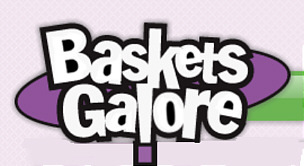 Baskets Galore designs all-occasion, corporate and holiday gifts for clients throughout Northeast Ohio. We believe the little things make a difference - like reusable containers, unique snacks, high-end finishing work, and personal service. Whether it's one gift or a large volume, Baskets Galore provides the artistry and attention to detail that creates good feelings between you and your clients. 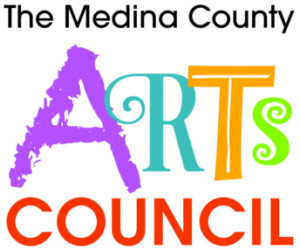 The Medina County Arts Council, established in 1983, is a non-profit organization whose purpose is to promote and build community excellence through the arts in Medina County. ItsÂ mission to develop and enhance the cultural life and the personal enjoyment of the arts for all citizens in Medina County. Learn more about The Medina County Arts Council at our website. Structured in concert with Akron Community Foundation's Women's Endowment Fund, which serves Summit County, the Medina County Women's Endowment Fund accepts grant applications for organizations and programs that support women and children in Medina County. It specifically makes grants to programs that create opportunities for the educational, physical, emotional, social, artistic and personal growth of women and children. The Rotary Foundation has continued its steady growth, moving up 35 spots to 85th in The Chronicle of Philanthropy's annual ranking of the top 400 nonprofit organizations in the United States. The ranking is based on monetary contributions from private sources and reflects the increasing generosity of those who support Rotary's mission.